One of the reasons I love DC so much is that, despite its relatively small size as a city, there is something new to explore each and every day. Take A. Litteri, for instance. 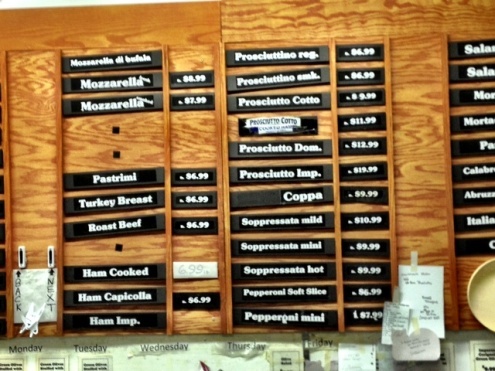 I have long heard about this Italian market as the place to get a sub, whether it was raves from my coworker Jeff, a DC native who lives in Brentwood and routinely stops by for lunch, or tweets from Jack Kogod of the Washingtonian, recommending the 9” hard roll sub as one of his favorites in the city. 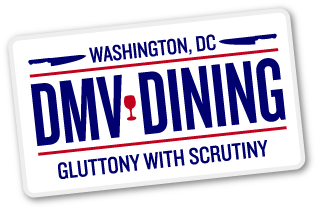 Jeff decided that it was due time that I check out this establishment for lunch, so off we went to Northeast DC to buy some subs. Honestly, I wouldn’t have known this place existed if it wasn’t for Jack and Jeff. Situated in the Florida Avenue Market amongst warehouses and a stone’s throw from Gallaudet University, A. Litteri has been operating since 1932 and is a District treasure, albeit a slightly hidden one. Patrons are here for a purpose. 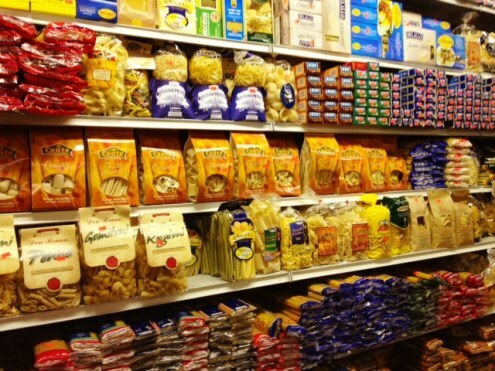 When you walk inside, you have stepped into perhaps the finest Italian market in DC: a large selection of goods stuffed into the smallest space you can possibly imagine. 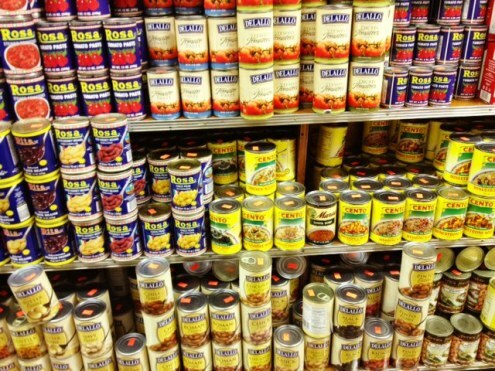 Stacks of canned tomatoes, pastas, olive oils, and wines adorn the shelves. Around the corner, there’s a cooler housing frozen pastas, pizza dough, and homemade sauces, just to name a few of the many items contained inside. The back of the market, however, was our ultimate destination. Not only is this where you order your sandwich, but you can also buy fresh meats and cheeses by the pound. 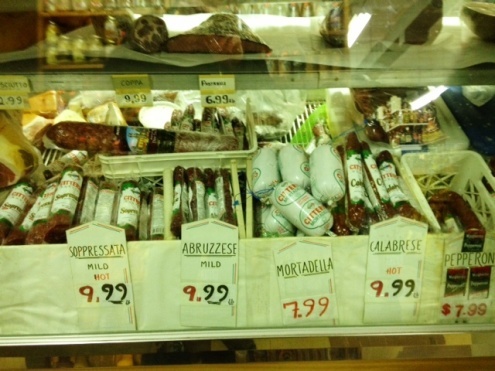 I have never seen such an extensive selection before, let alone where one has a choice between six different kinds of prosciutto! When it came time to order, I went with Jack’s recommendation: the classic Italian on a 9” hard roll. The ingredients? 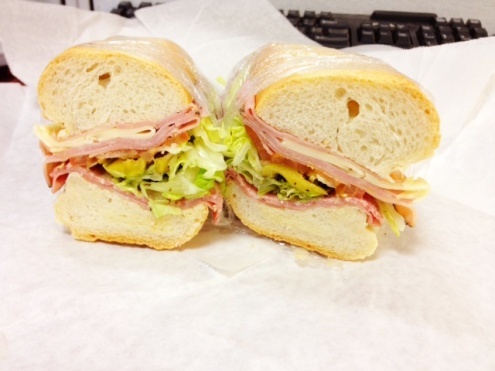 Capicola, Genoa salami, prosciuttini, provolone, lettuce, tomatoes, onions, hot peppers, and of course, Italian dressing. My coworkers and I tried to resist noshing on the sample tray while we waited for our sandwiches, but it proved rather difficult when they kept replenishing it. As we made our way to the register, I had a last-minute urge to grab some pizza dough. I just could not bear to leave A. Litteri with only one item in hand. Oh, and the sandwich? Good heavens, this was as good as it gets. I cannot ever recall enjoying lunch at my desk as much as I did while eating this sub. The freshly-baked hard roll kept the layers of fresh meats and cheeses soaked in dressing intact without getting anywhere close to soggy. As if this wasn’t good enough, the total cost of this excellent sub was a mere $4.95. Yeah, you read that correctly. I’m so glad I finally got to experience a sub from A. Litteri, but at the same time, I’m a little mad at myself for not checking it out sooner. I cannot believe what I was missing out on for so long.